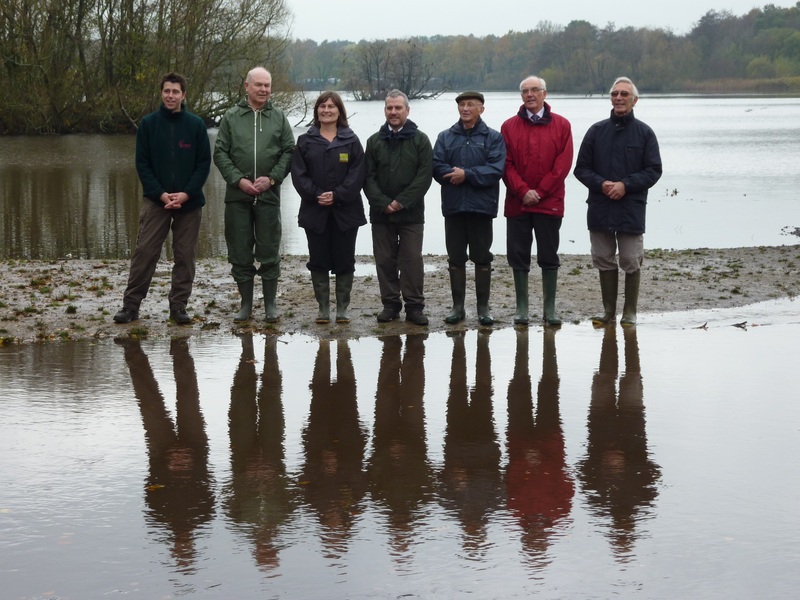 From left to right: Tim Ackroyd (Fleet Pond Ranger), Peter Martin (President FPS), Cressida Wheelwright (Natural England), Adam Green (Hart District Council), Colin Gray (Chairman FPS), Councillor Ken Crookes (Leader Hart District Council) and Geoff Dee (FPS Committee Member). The fundraising Clearwater Campaign received a boost in early November when Natural England confirmed a Higher Level Environmental Stewardship (HLS) agreement consisting of a grant of £19,000 per year to Hart District Council. 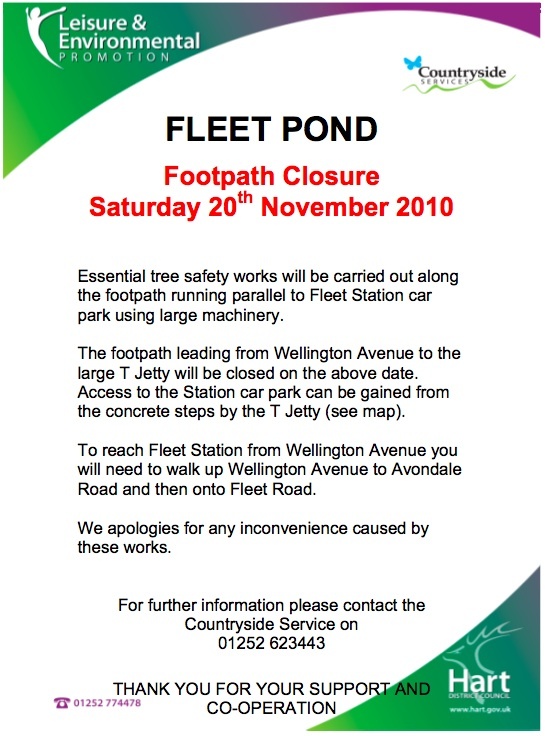 This agreement, and the support and involvement of partners including the Environment Agency, Hart District Council, the Fleet Pond Society and the Ministry of Defence, means that dredging can begin in several key areas of the Pond and that measures can be taken to reduce silting in the future. Cressida Wheelwright, Natural England conservation adviser, says: “Funding this work through the HLS scheme will lead to clear improvements in the condition of the SSSI. We are sure that local people will see and enjoy the benefits from the £19,000 a year HLS grant. Partnership working on this project has been particularly important because it has allowed us to pool the expertise of the different organisations, both technical and local. We are very pleased to have been awarded this HLS grant by Natural England and look forward to working with them in partnership. However, this is just the beginning! We need to raise a lot more money through our Clearwater Campaign to ensure that the Pond retains its Site of Special Scientific Interest (SSSI) category and allow us to make the restorations which will guarantee that the Pond is around to give pleasure to generations to come. 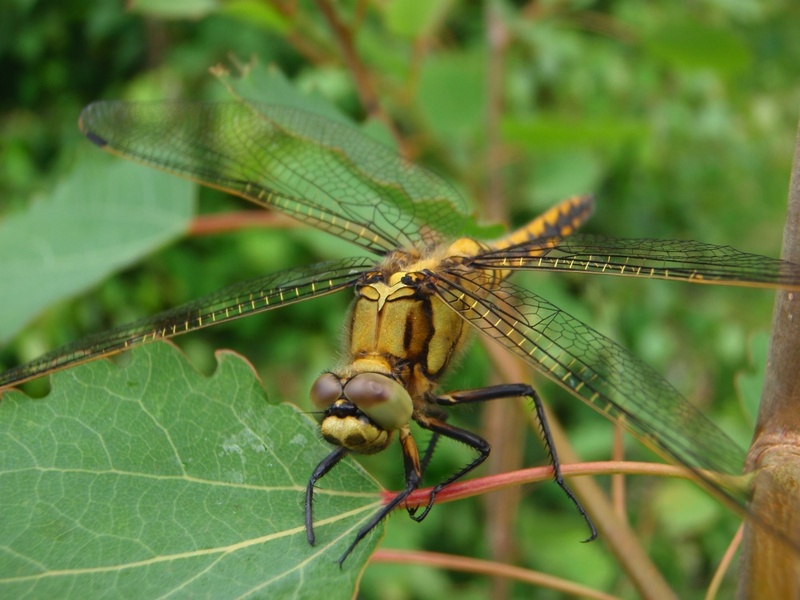 This news has also been reported by Natural England as well as by Get Hampshire. Over the past few years, Hart District Council’s Countryside Service and Fleet Pond Society have been working on improving the wetland habitats around Fleet Pond. 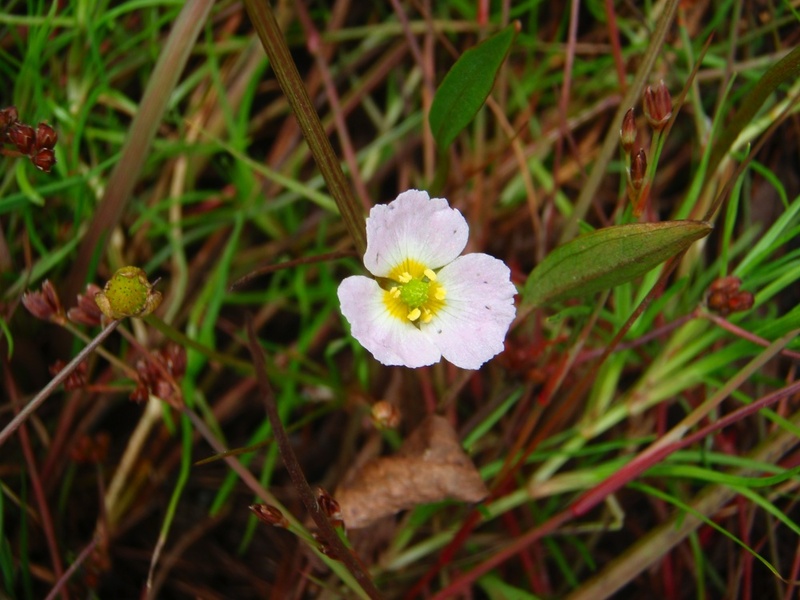 This work has involved clearance of trees and scrub to allow wetland plant species to flourish. 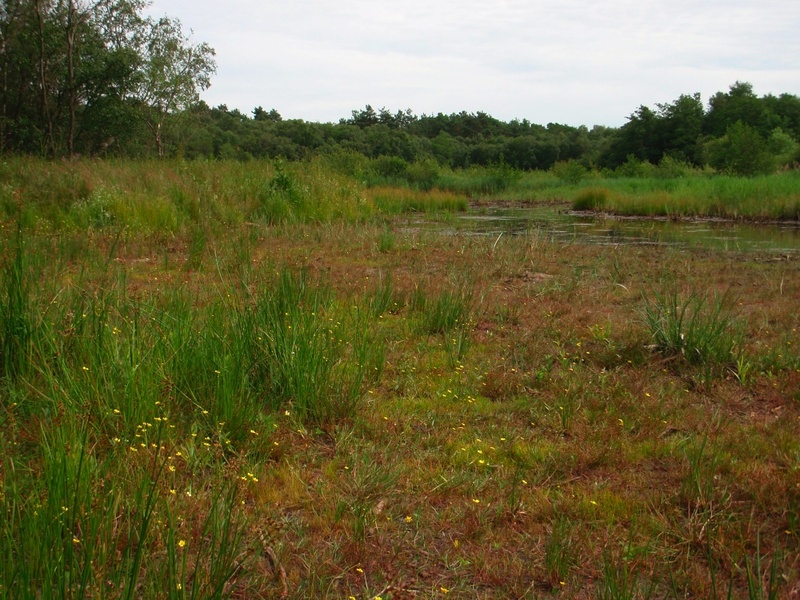 As a result of this work, the marsh and reed bed habitats have been restored in several areas, with rare species of plants and animals being recorded once again, some for the first time in 80 years! Natural England has also upgraded the conservation status of the habitats from unfavourable to recovering. It is vital that this work continues to be able to achieve favourable conservation status. This winter one hectare of young secondary woodland on the edge of Coldstream Marsh will be felled in order to continue with our restoration work. Leaf litter and a layer of topsoil and plant roots will then be scraped off to expose the old seed bank of wetland plants. The resultant material will be banked up on the edge of the marshland. The trees that have encroached on the marsh over the years, shade out the wetland plants and reducing the biodiversity. The area of young woodland is very low in biodiversity and has very poor wildlife value as it does not provide adequate habitat for birds, bats and other species that need trees. This work will allow the wetland plants to colonise once again and will ensure that a greater number of species can use this habitat. Within this felling block a narrow channel will be excavated to create a diversion to the Gelvert Stream. This work is part of the larger pond restoration work to reduce the silt deposition within the pond. This diversion channel will take silt laden water away from Sandy Bay and releasing the water more gradually at several points leading up to Boat House corner. Detailed hydrological and topographical surveys will be carried out before the diversion work is carried out. This diversion will have a manual sluice system and will only be used in times of very high rainfall or flood events. The existing route of the Gelvert Channel will be uninterrupted the majority of time. Management will be undertaken at the dry heath to help restore the valuable heathland habitat we have at the nature reserve. We will be carrying out turf scrapes with machinery. Previous woodland which has been removed to restore the heathland vegetation, have for several decades produced a thick layer of organic matter. This prevents the heathland plants from regenerating. It is therefore essential to remove this layer of organic matter to expose the old seed-bank of plants such as heather. Heather seeds can survive for more than 50 years in the soil and can quickly germinate and re-establish themselves once exposed to favourable conditions. Scrapes were carried out here in September 2008, but the invasion of mainly birch saplings means we will need to re-scrape this area to remove these saplings. Only a very shallow layer of soil will be removed and added to the existing spoil pile. This winter the Countryside Rangers with the help of the Fleet Pond Society will be carrying out some small scale scrub clearance and reed bed cutting, within the Marshland areas and in particular Fuglemere Marsh, Gelvert Marsh and Wellington Reed Bed. Fleet Pond is managed by Hart District Council’s Countryside Service and Tim Ackroyd is the new Ranger for the Nature Reserve. Previously the Fleet Pond Ranger was Joanna Lawrence and Joanna is now studying at Sussex University for an MSc in Biodiversity. 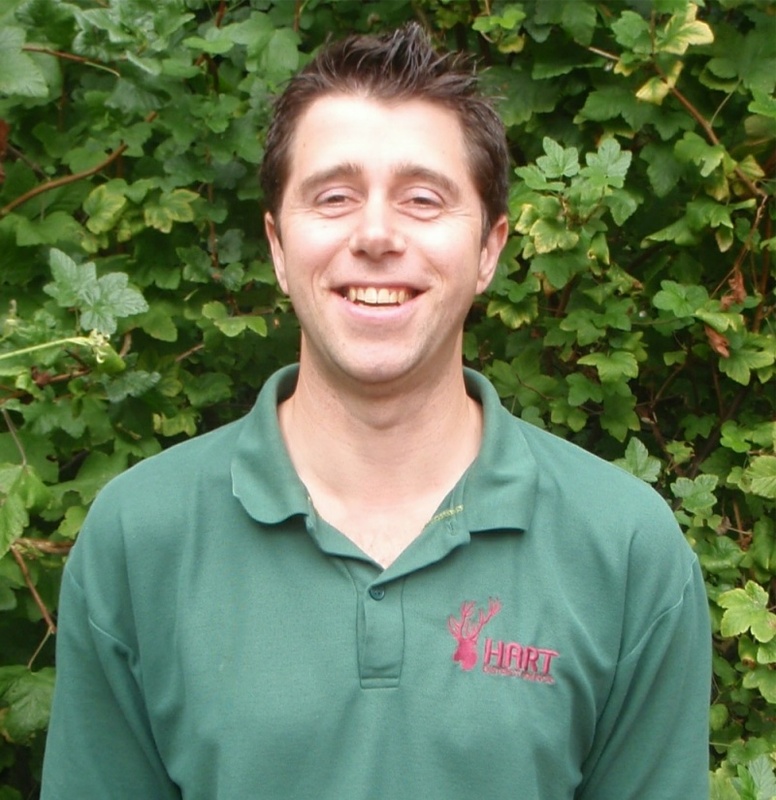 “I have been working for Hart District Council’s Countryside Service as a Countryside Ranger for over three years and previously worked as an assistant ranger for Hampshire County Council based at Yateley Common. I have enjoyed the experience of looking after a variety of interesting sites over the years and I am very excited to take on my new role as Fleet Pond Ranger. Each year Fleet Pond Society (FPS) organises a very popular evening social event (that includes a dinner) that is open to members and their guests. As part of this there is a presentation on a topic of interest. This year, Jim Storey, who is a Committee Member of FPS, gave a talk on how University College London, as part of the Open Air Laboratories (OPAL) network, is helping illuminate the condition and health of Fleet Pond. Jim is very excited that Fleet Pond plays a part in the nationwide OPAL initiative and he was the driving force in organising the very successful event held at the Pond in May this year to celebrate International Biodiversity Day (see here and here). “All the nine lakes that University College London (UCL) are studying have enhanced levels of brominated flame retardants. It’s not good for them and it is probably washed into the lakes from the air. That’s a lot of silt! UCL have also taken a core through the silt in Fuglemere Bay and dated it back to 1870! The table below shows how quickly the silt is deposited and how this has got so much worse in the last 10 years. 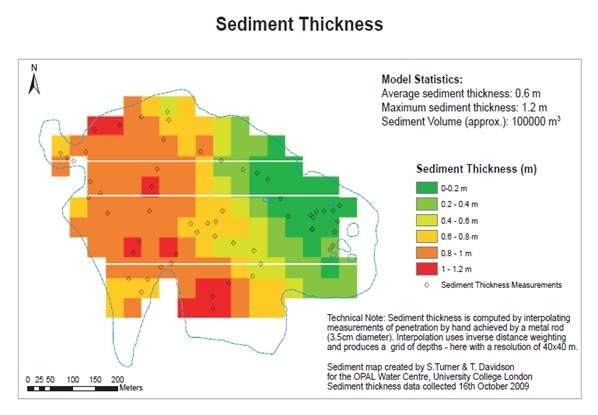 Further details on the research results for OPAL Water can be found here (Fleet Pond is under the South East Region). “We have a lot of cut material left over from the last two work parties and it has all been shipped up to the woodland by the reserve car park. On Sunday we will have two bonfires to clear all this material (rather appropriate for the Guy Fawkes weekend). While up near the Dry Heath (which surrounds two sides of the car park) we will clear more of the birch seedlings and saplings from the open heath. We assemble as usual at the Countryside Workshop at 9.15 a.m. for a prompt start. The lazier ones among you could meet us up in the car park around 9.45 a.m. giving you another half hour in bed! We will bring the Lazy Dog root diggers with us to remove the more obstinate birch saplings. Please note that these volunteer events usually take place on the second Sunday of the relevant month but not for November 2010 (and onwards) as there is a clash with Remembrance Sunday. 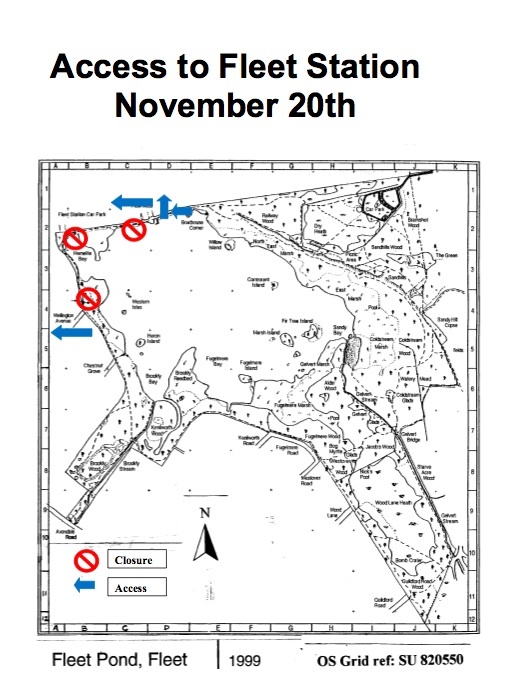 You are currently browsing the Fleet Pond Blog blog archives for November, 2010.